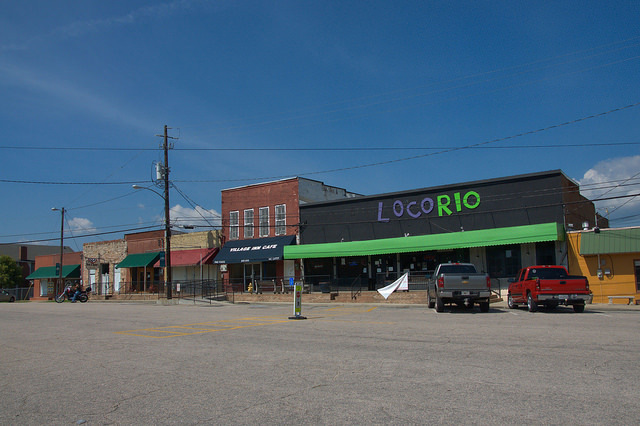 With around 900 people, Franklin is one of the smallest county seats in Georgia. 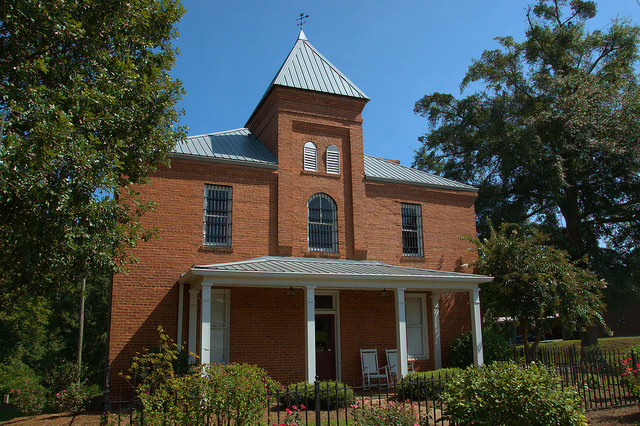 Pauly Jail Company of Alabama built this jail in 1912, for $7,500, using plans by Manley Jail Works of Dalton, Georgia. This jail replaced an 1880 jail that became unfit. The new jail housed up to 16 prisoners upstairs. The County Sheriff (eight sheriffs from 1912-1964) and his family lived downstairs. In the 1930s, two prisoners cut window bars and escaped. Death row prisoners were held here, but the jail’s gallows were never used. In 1964 a new County jail opened on the Franklin Square, and this jail closed. The 1912 jail was National Register listed in 1981. In 1987, Heard County Historical Society rehabilitated this jail, with help from the Callaway Foundation and other donors.